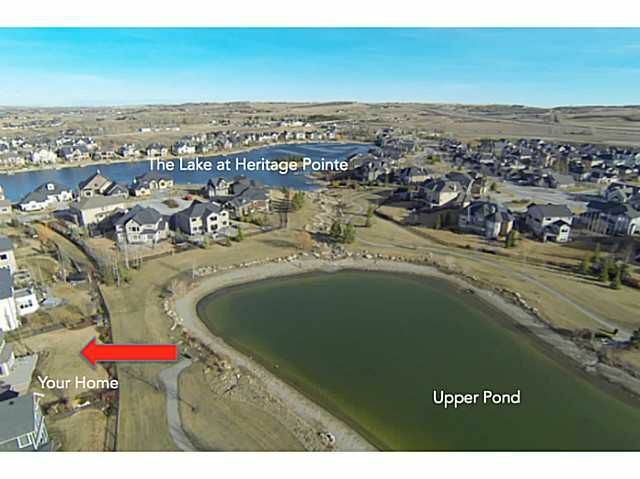 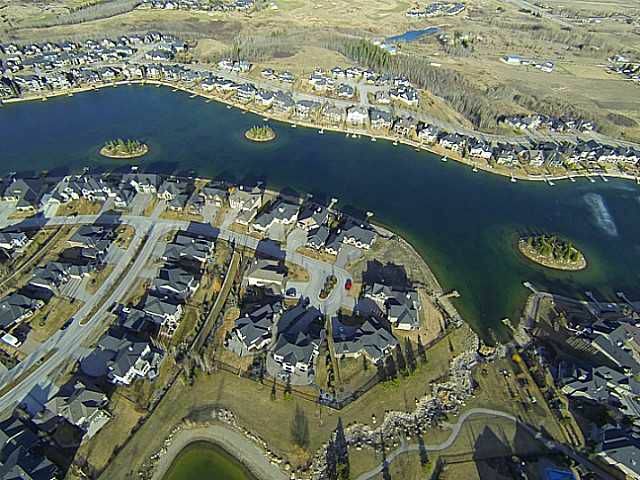 Welcome to the Lake at Heritage Pointe & to this exclusive home backing the upper pond. 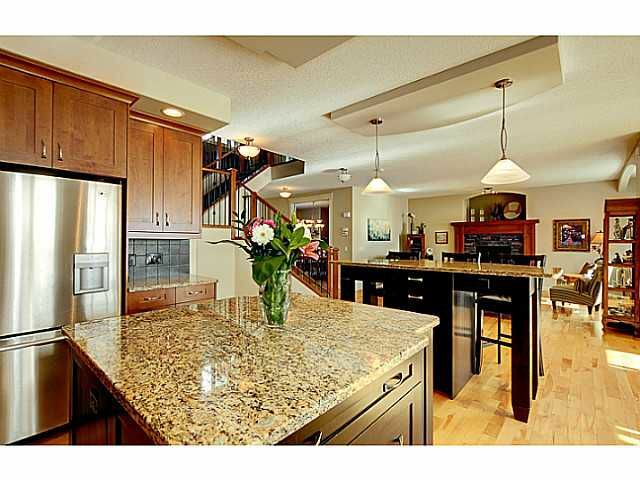 This Albi built home is fully finished with over 4100 SF of usable space. 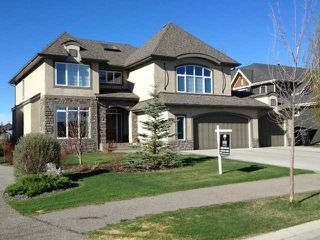 This 5 bedroom plan is upgraded with high quality finishings that you would expect from an estate home. The south facing rear exposure floods this home with ample natural light. 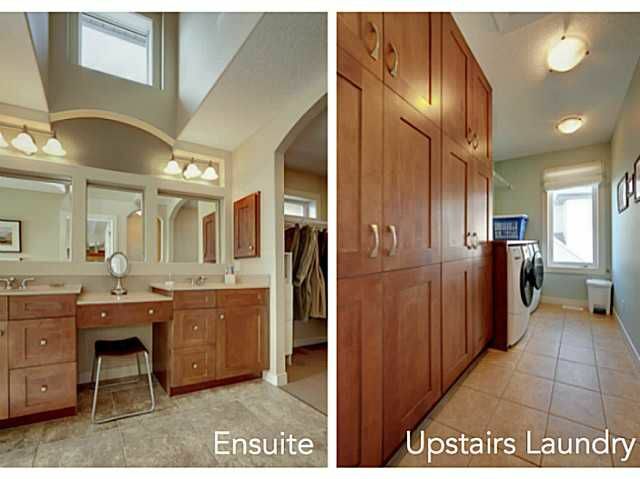 The intelligent design is a great balance between an open concept & private spaces. 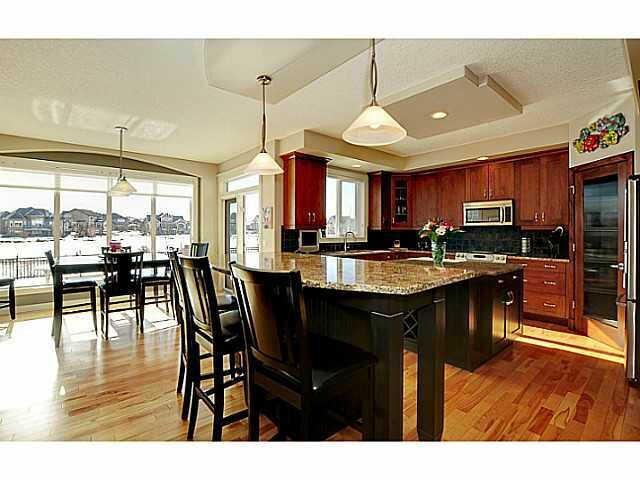 The kitchen features granite counters, ceiling height cabinets, & an eating nook which overlooks the pond. 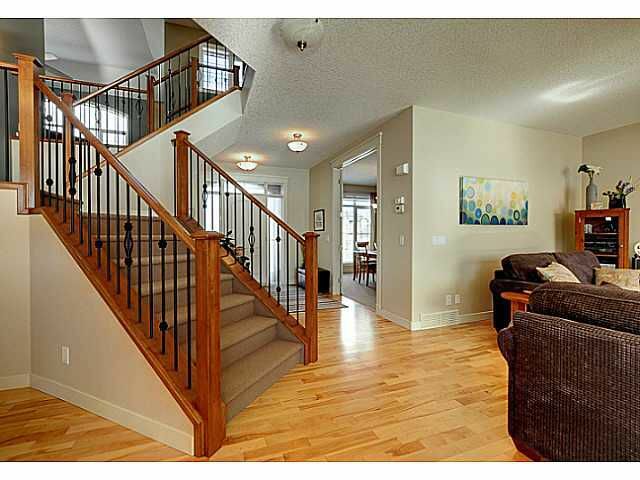 The beautiful staircase leads you upstairs; note the skylight which allows for even more natural light into the home. 3 spacious upper bedrooms incl. 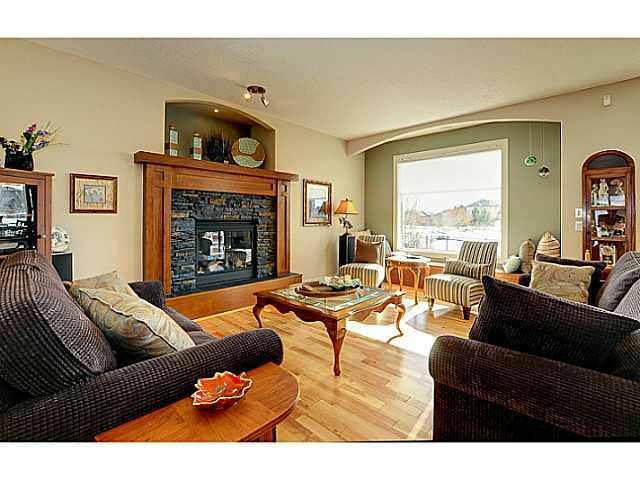 a huge master with 5 pc ensuite & upper laundry room. 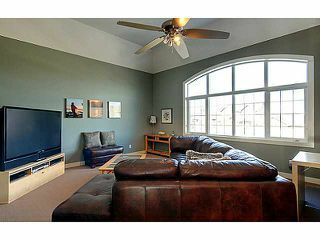 Fully developed basement with 2 more bedrooms + rec area. The distinguishing feature of this property is the quality of the lot. The south facing yard is professionally landscaped & backs the pond. Only steps from the Lake. Welcome to 12 Heritage Lake Shores. 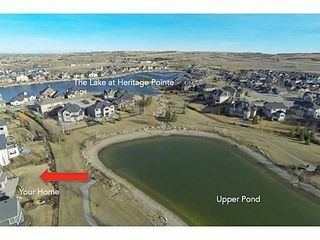 A beautiful, estate home backing on to the upper pond at The Lake @ Heritage Pointe. 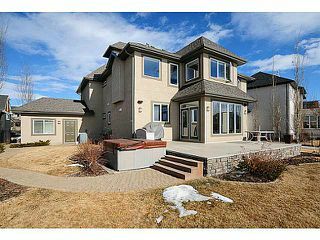 What a view from your rear south exposure. Only footsteps to the lake. 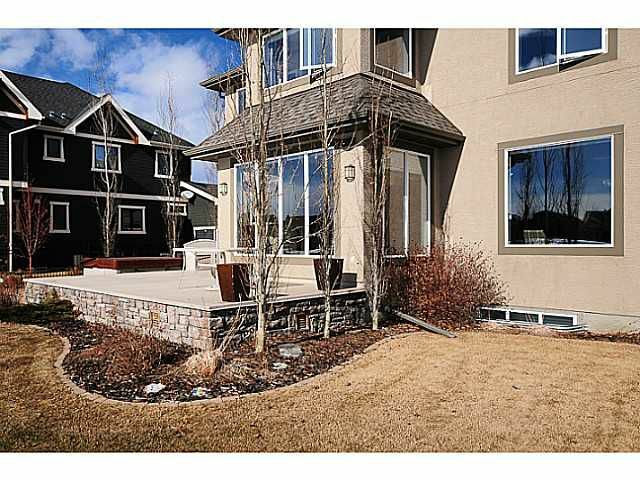 Professionally landscaped backyard with underground sprinkler system. 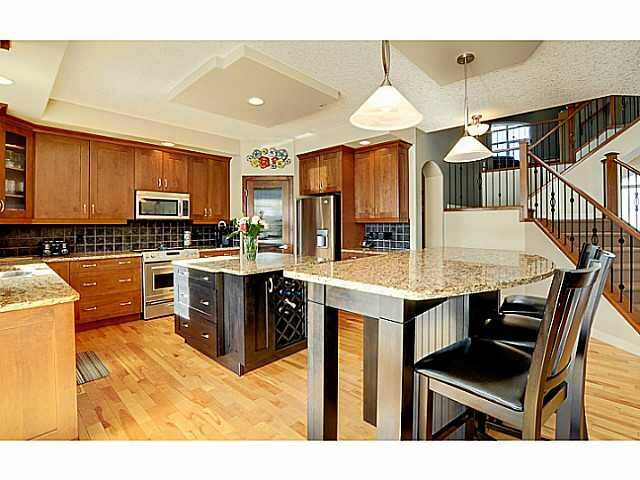 Huge kitchen with granite counters, ceiling height cabinets & stainless steel appliances. 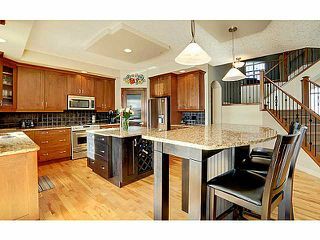 Eating bar & island make this kitchen a great space to work and hang out in. Formal dining room, large enough for a big table and the rest of your dining furniture. Living room overlooking the pond, with mantled gas fireplace as its centerpiece. 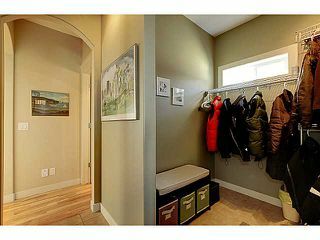 This is the mudroom that comes in from the triple garage. Great storage space here for jackets & shoes. 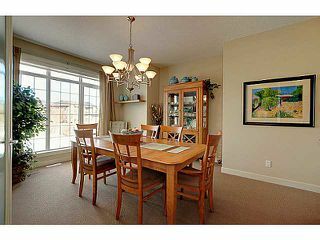 Lots of room to spread out here for your family when coming into the home. 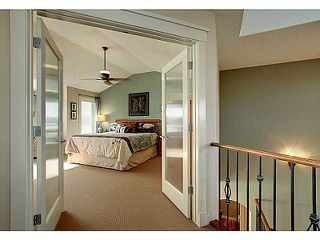 Master bedroom, double door entrance. 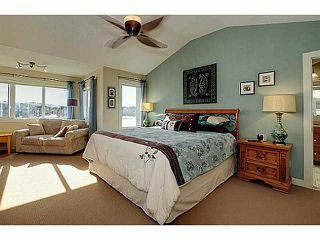 Huge master bedroom with retreat overlooking the pond. 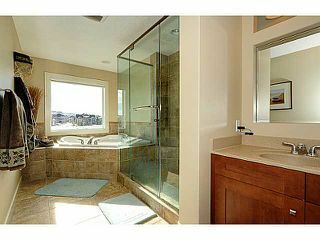 5 piece ensuite with glass shower, soaker tub & 2 sinks. Huge walk-in closet, built into the master bath. 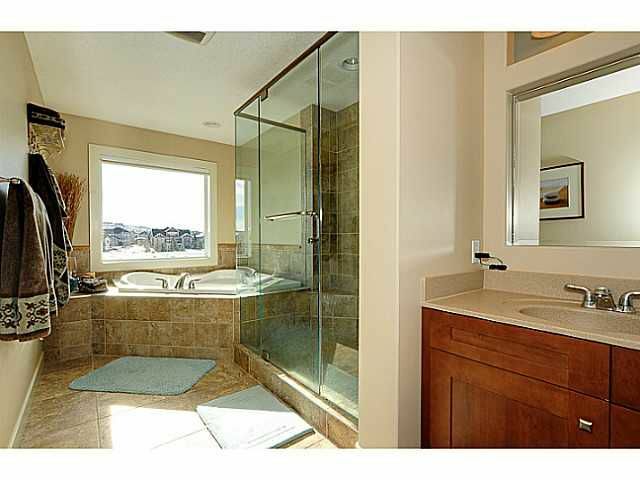 Picture on the left is the ensuite. The laundry room on the right, is conveniently located on the upper level. The bonus room is tucked away in the corner of the upper floor plan, and is ideal as a home theatre room or as a den/office. This bedroom overlooks the pond. 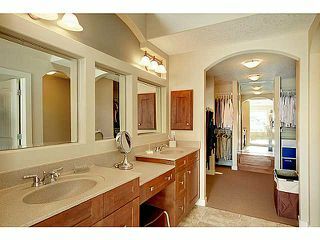 Fully developed basement. The rec area has a mantled gas fireplace. 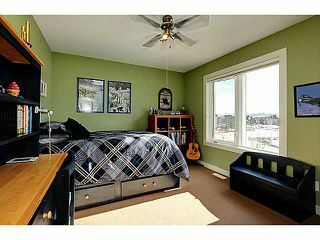 2 more bedrooms down here + a flex area + full bathroom + lots of storage. 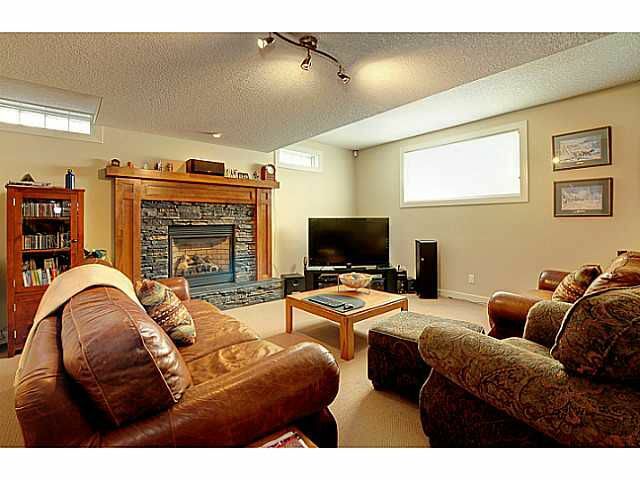 2 furnaces and 2 hot water tanks as well.